Last revised: February 17, 2002. 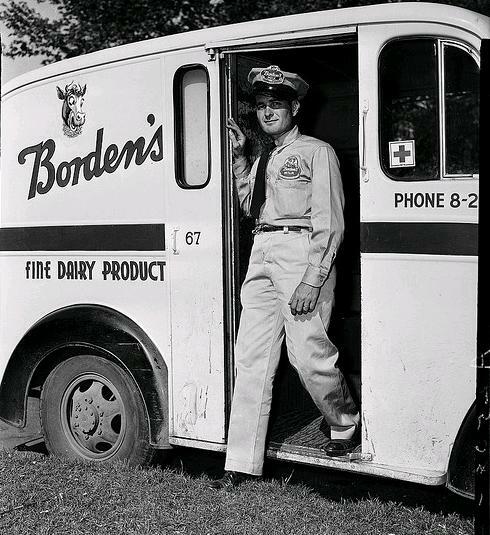 Before the kids in Hammond knew anything about cows, we knew that our fresh supply of whole milk came from Borden's Dairy. this brick building near downtown Hammond. This delightful little girl is Irene Barthold, and her grandfather Michael Halas, who worked for the Prairie View Dairy in Hammond. 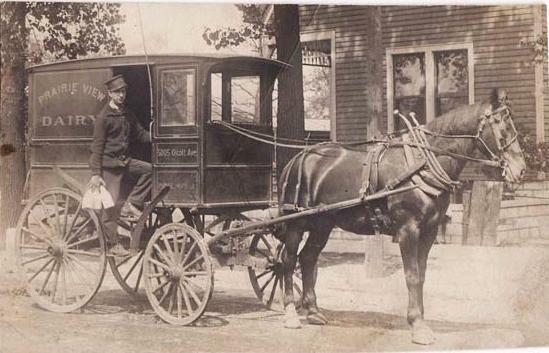 "Photo of my grandfather, Michael Halas, who was a milkman for Prairie View Dairy and my mother, Irene Barthold." 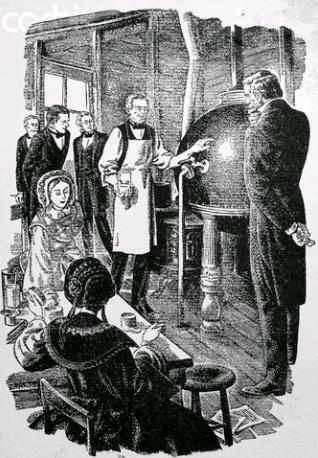 Illustration shows Gail Borden as he demonstrates the condensation of milk. 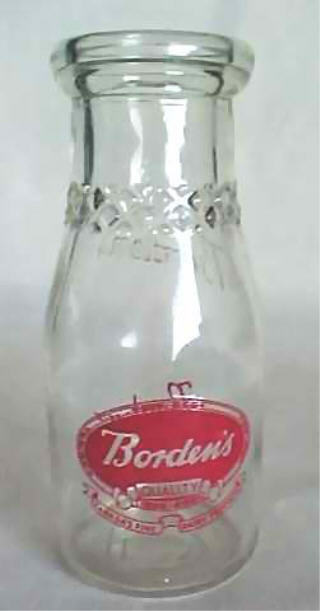 He received a patent in 1856 which started the Borden Company. Most kids growing up in Hammond, Indiana, drank raw milk. The cream was still in the milk and would rise to the top of the bottle when it had been allowed to sit for a while. Mothers would remove the cream and use in in baking, coffee, and even beating it to make real "whipped cream." 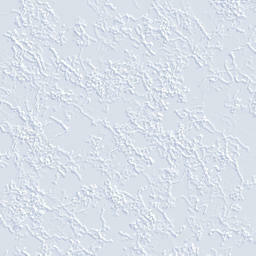 Milk then became Homogenized, where the cream was mixed thoroughly and would not separate from the liquid milk. 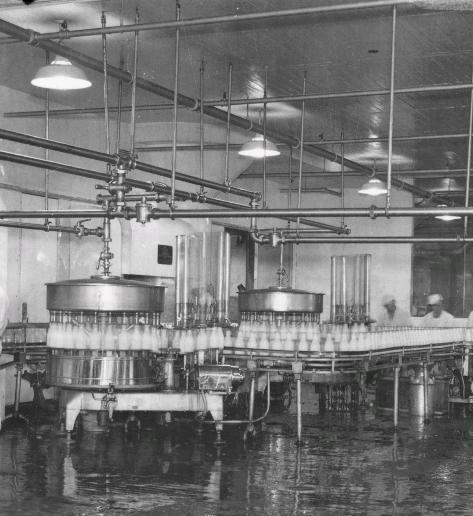 When milk became Pasteurized, the cream was removed. The dairies realized that they could remove the cream and bottle it for the store shelf... more revenue. and shows a dairy employee unloading milk cans from the dairy farm truck. that will soon be delivered to the front porch steps of homes throughout the Hammond area. 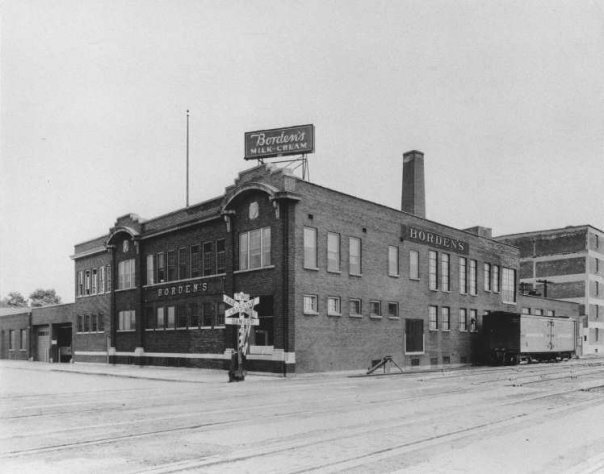 Of course there were other dairies that delivered milk to Hammond neighborhoods. 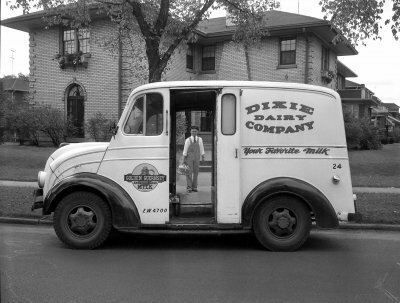 Dixie Dairy Company was one of them. Jim Cavanaugh, Chester Steen and Herbert Petree were among the 60 “Borden Boys” — young agriculture and dairy college students recruited to handle the 150 cows at the Borden pavilion at the 1939 New York World’s Fair, “The Dairy World of Tomorrow.” The exhibit was designed as a showcase for the most modern, sanitary methods used in the dairy industry. 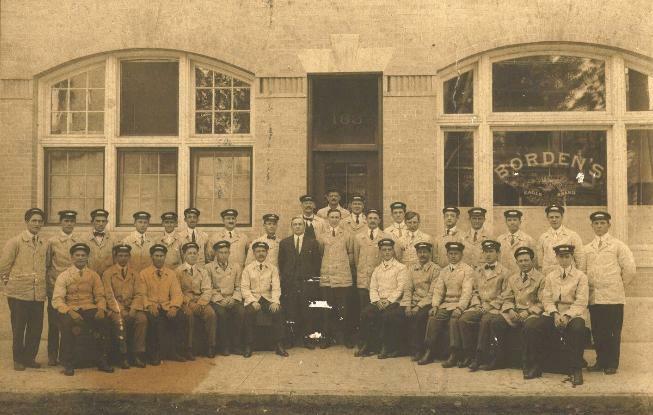 These young men cared for the animals, kept careful statistics on milk production and demonstrated dairy operations to the public. Today, the three men once again accompanied “Elsie the Cow” to a major event, this time in the nation’s capital. At the World’s Fair, Borden soon discovered that although impressed with the technology on display, most visitors really wanted to know which animal was Elsie, a fictional cow featured in the company’s recent advertisements. An especially sweet-disposition Jersey was swiftly identified as Elsie and introduced to the public. She became the focus of the exhibit, where she and her calf Beulah lived in a luxury stall with framed “portraits” of her ancestors on the wall. 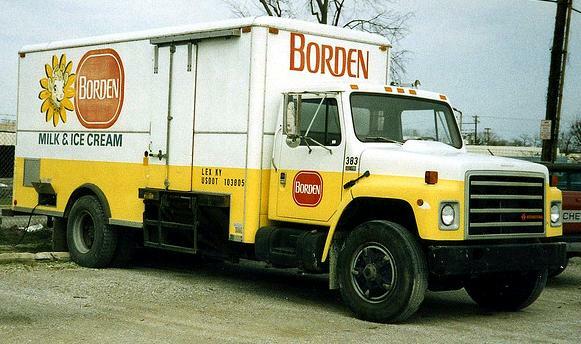 Due to her immense popularity at the fair, the Borden Company made Elsie its primary advertising icon, a role she still plays today.